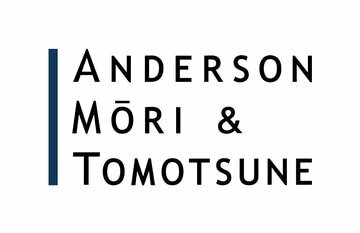 Anderson Mori & Tomotsune is a full-service law firm formed and expanded by the merger and consolidation of the practices of three leading Japanese law firms: Anderson Mori, which established its reputation as one of the largest and most established international law firms in Japan since its inception in the early 1950s; Tomotsune & Kimura, particularly known for its expertise in international finance transactions; and Bingham Sakai Mimura Aizawa, a premier international insolvency/restructuring and crisis-management firm. The combined firm provides an exceptionally powerful value proposition. Housing all of these synergistic practices under one roof, and further increasing the scale of its resources, the firm is well-positioned to: (1) better serve a wide client base; (2) provide even more prompt and accurate advice across a broader spectrum of legal issues; and (3) handle the largest transactions in Japan, including those which are cross-sectoral and extremely complex. A combined expertise enables the firm to deliver advice on virtually all legal issues that may arise from a corporate transaction, including M&A, finance, capital markets, restructuring/insolvency, and litigation/arbitration. The majority of the firm’s lawyers are multi-lingual and experienced with communicating, drafting and negotiating across borders around the globe. With a long tradition of serving the international business and legal communities, a superior expertise, coupled with a standing as one of the largest law firms in Japan, translates to not only high quality services but also time and cost efficiencies, which the firm shares with its clients.